We are developing an efficient and a high performance reversible solid oxide cells (RSOFCs). 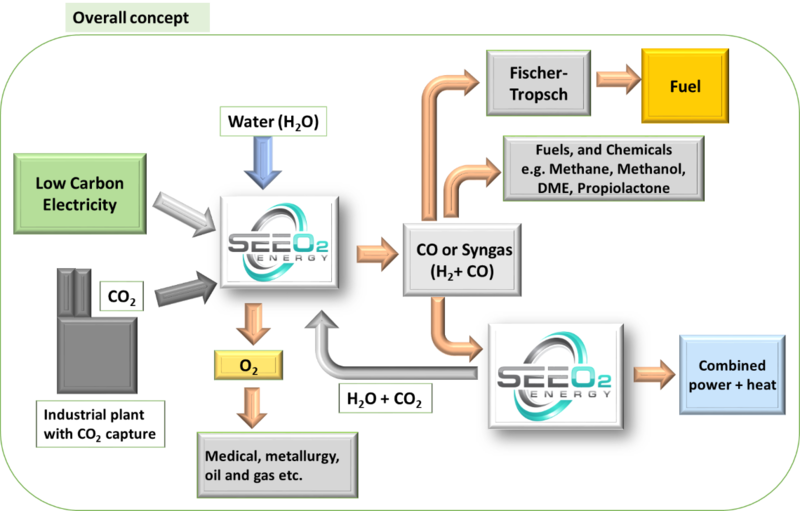 Our technology, which involves the use of a high-performance catalyst material, allows the electrochemical conversion of water to hydrogen, carbon dioxide (CO2) to carbon monoxide (CO), and CO2 and water to produce syngas, a mixture of CO and H2. The products (syngas, H2 and CO) can be used directly for various applications and can further be converted to substitute natural gas, methanol, ammonia, ,synthetic liquid fuels etc. Furthermore, our technology, when operated in the fuel cell mode, electrochemically converts H2, CO, syngas, and methane to power and heat for off-grid/remote customers, residential and commercial customers.